I’m so excited to share this sweet treat with you! 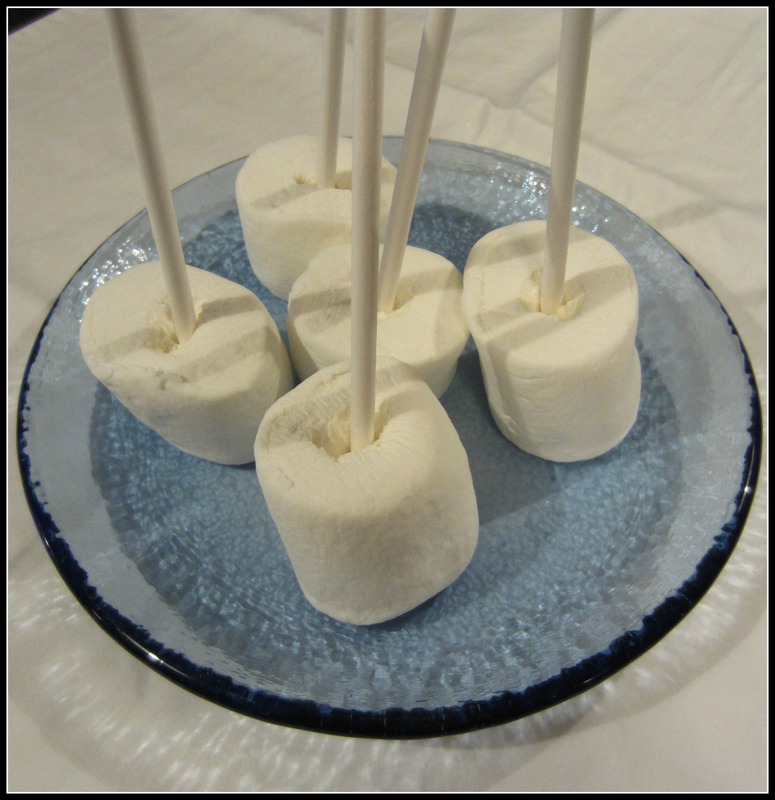 I first made these marshmallow pops as favors for my daughter’s birthday party last year and they were a huge hit. Since then, I’ve been known to make them on a whim as a simple sweet treat – like today! Not only are they yummy (if you like marshmallows) but also super cute! 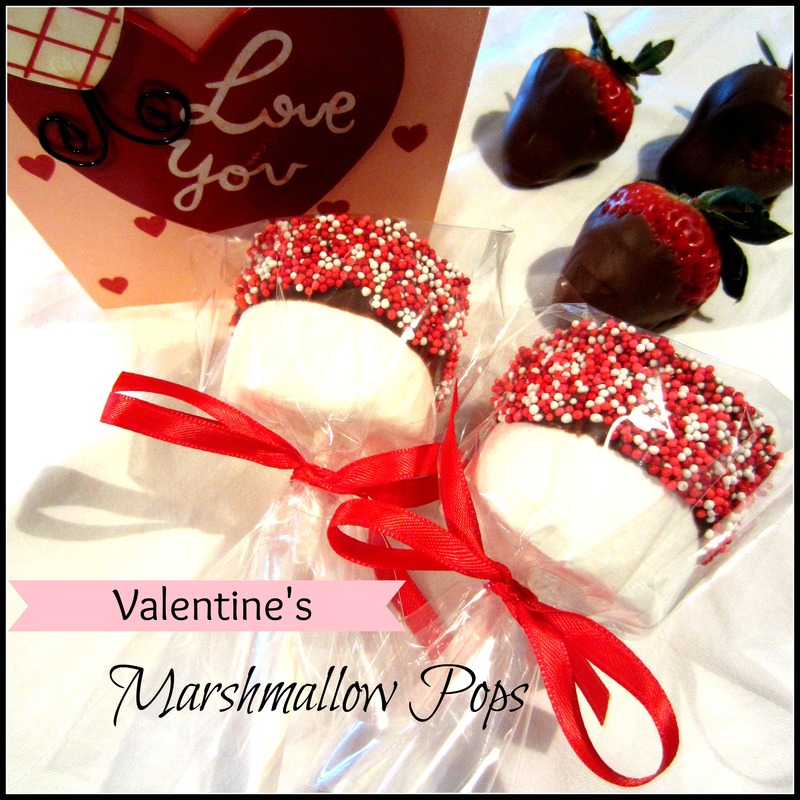 You can make these for any occasion or holiday, however, with Valentine’s Day just around the corner I thought they would be a perfect pre-Valentine’s Day treat! 1. Take the marshmallows and slice a small hole at one end. This will make it easier when inserting the stick. 2. Insert sticks. Set on plate or cookie sheet and refrigerate for 30 minutes or until firm. 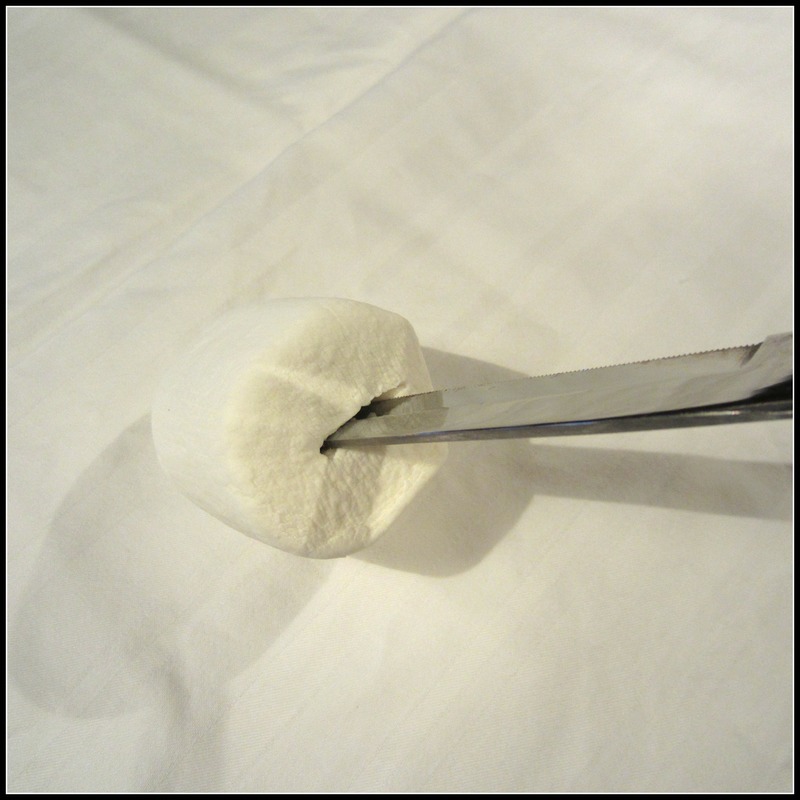 This will help the marshmallows adhere to the sticks. 3. 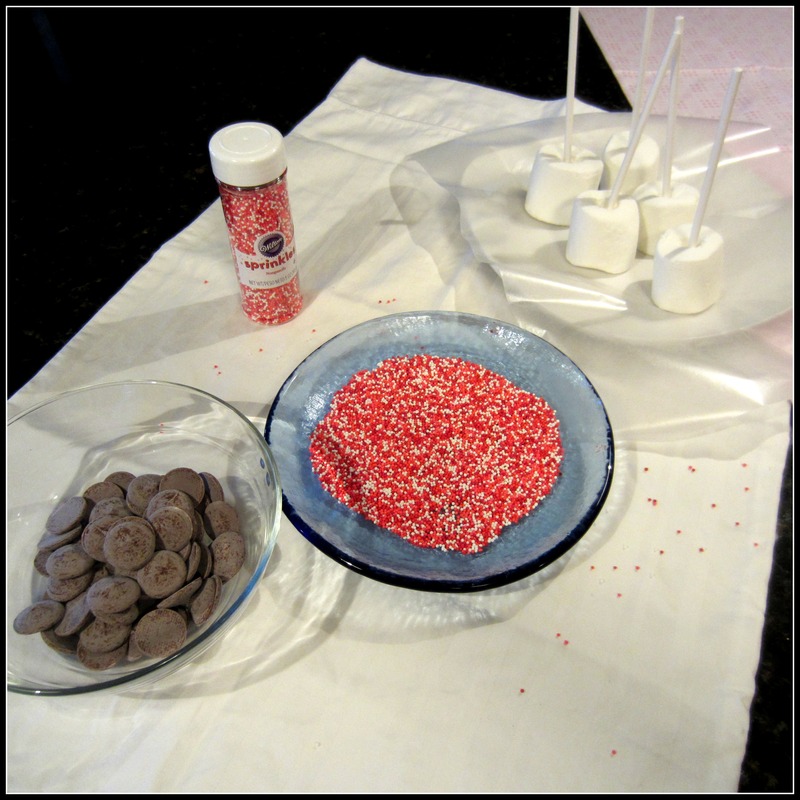 Set up your marshmallow “station.” I put chocolate first, then sprinkles and end with a plate or cookie sheet covered with wax paper. 4. 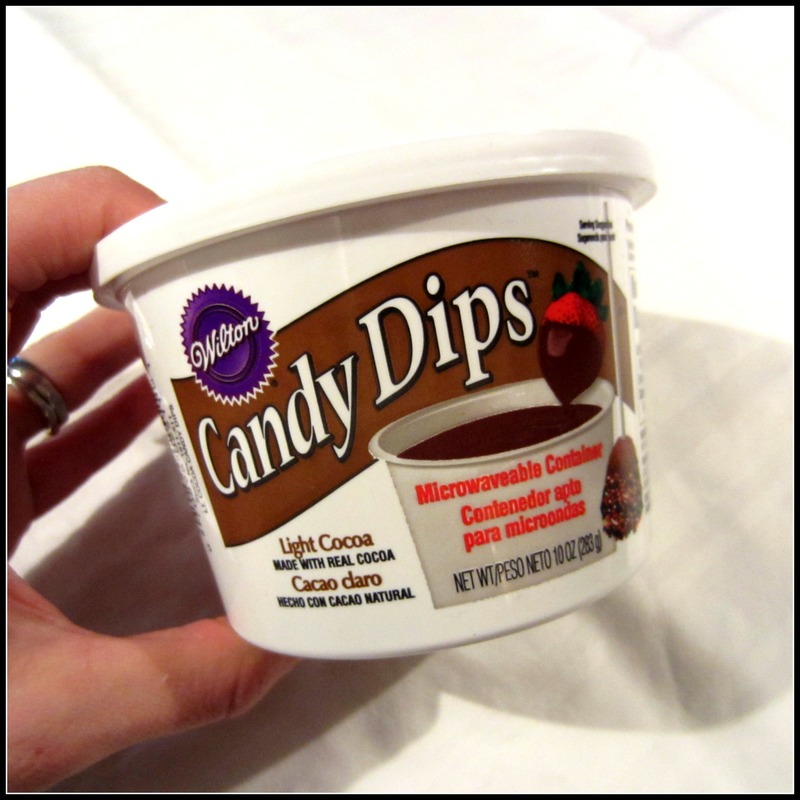 Heat chocolate in microwaveable safe bowl by following directions on candy package. 5. Now is the fun part! Dip marshmallows in chocolate, gently roll in sprinkles and place on wax paper. Let sit for at least an hour before packaging or serving. On a side note, I had some extra chocolate leftover and there was no way I was going to let it go to waste! 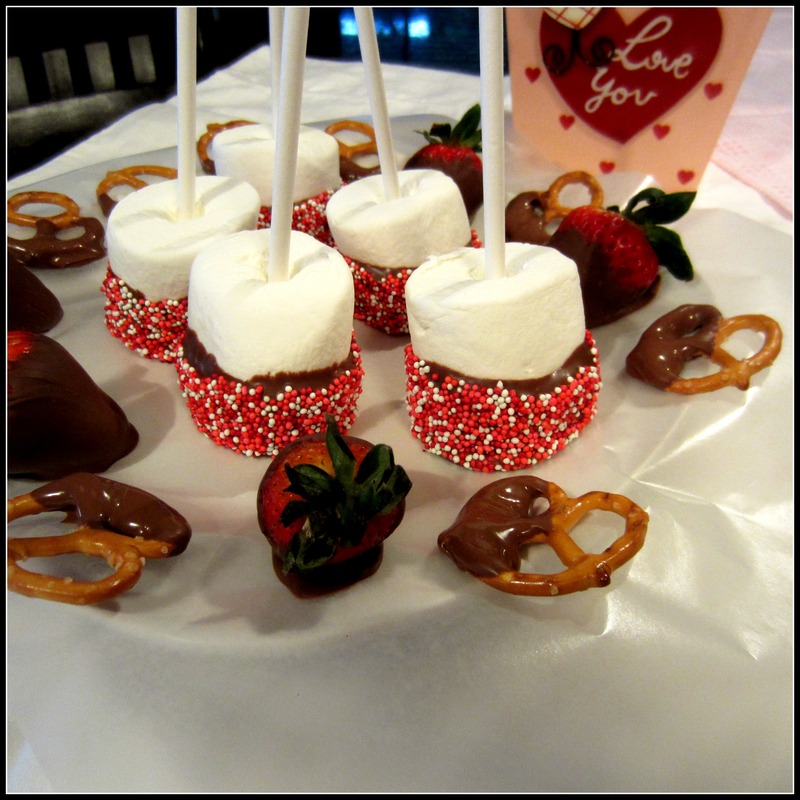 I just happened to have strawberries and pretzels on hand, so a few extra treats were added to the mix! I think my husband will be happy!